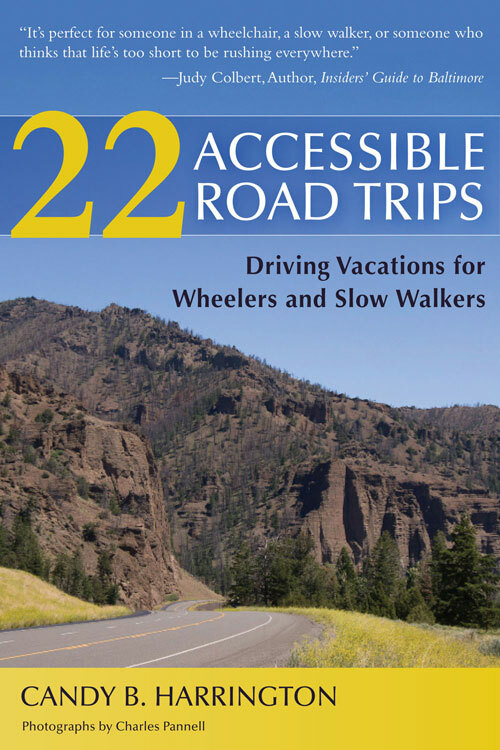 I’m thrilled to announce that 22 Accessible Road Trips: Driving Vacations for Wheelers and Slow Walkers won a bronze award in the travel guide category in the 2012 ForeWord Book of the Year Awards. It’s great to see an accessible travel title do so well alongside mainstream travel titles! And in celebration of it all, my publisher is offering a special promotion. From now until July 18, 2013 you can save 20% on the book, and get free shipping. What could be better? Just go to my book website, and click “buy the book” and use promo code GOLD13 when you check out. It’s as easy as that! If you’re thinking of hitting the road this summer, it’s a great resource. So spread the word. And start packing! This entry was posted in Resources, Road Trips and tagged award, Baby Boomer, car, disabled, ForeWord, Harrington, road trip, slow walker, travel, wheelchair by Candy B. Harrington. Bookmark the permalink.